We don’t play smoke and mirrors with deals. The deal presented to you will be transparent and understandable. You’ll get a real price and a real payment. and in plain language using only rebates that are available to all customers, not just members of a special group. like window etch, life insurance and electronic rustproofing. Here, you will not be asked to buy worthless “add-ons” for your car. And no addendums: You won’t be asked to pay a “market adjustment” just because a vehicle is popular. We have salespeople who are motivated to ensure your satisfaction. As you negotiate your purchase with one of our salespeople, you will quickly see that their objective is to have you be a valued customer for life, not just a sale for today. schemes. They only add to your cost one way or another. so you will not have to “pre pay” for a covered repair or have trouble getting service if you are out of town. And by the way, you will NOT have to follow unrealistic maintenance requirements at our shop to keep your warranty valid. as well as traditional used cars. Our used vehicles have Internet Market Value Pricing, meaning we’ve already compared our price with every other vehicle available to give you a competitive price. rewards you for every dollar spent on servicing your vehicle. Our Service Department is open 6 days a week, 7:30 a.m. to 6 p.m.
We are a Full Service dealership and can handle all of your automotive needs. 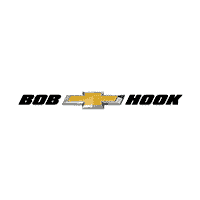 We strive to be your one-stop solution for new Chevrolets, certified pre-owned vehicles, traditional used cars, new and used Commercial Trucks, Service and Collision Repair for all makes and models, and GM Parts. We have been Better Business Bureau A+ Accredited since 1963.
like the Dream Factory of Louisville, YMCA Spirit Campaign, Twisted Pink, Angels in Disguise and many more.